Microsoft has finally decided to roll out Windows 10 for the customers. 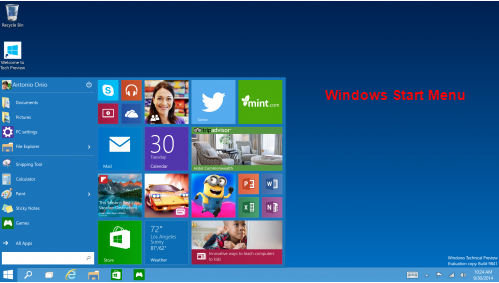 In its blog, Microsoft had announced about Windows 10 on 30 September 2014. 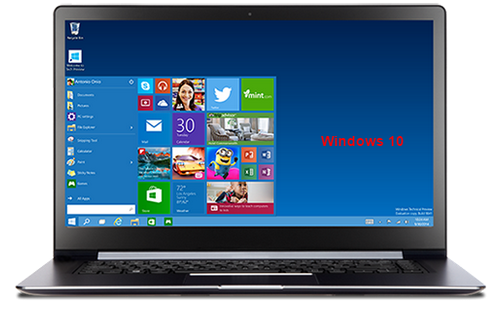 There is also report that Windows 10 will available Free. Microsoft also announces a Windows Insider program for PC experts and IT Pros to get access of technical preview of Windows 10 for PC and Laptops. You can also become part of windows Inisder program at https://insider.windows.com/ where you can log in your microsoft account and get access of Windows technical preview. 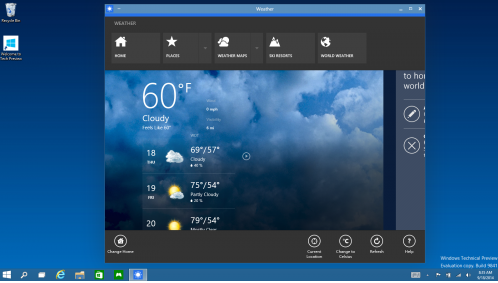 1.Start menu: The familiar Start menu is back, but it brings with it a new customizable space for your favorite apps and Live Tiles. 2.Everything runs in a window: Apps from the Windows Store now open in the same format that desktop apps do and can be resized and moved around, and have title bars at the top allowing for maximize, minimize, and close with a click. 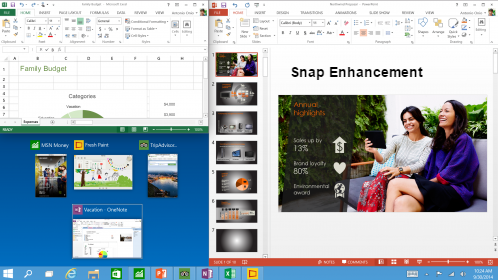 3.Snap enhancements: You can now have four apps snapped on the same screen with a new quadrant layout. Windows will also show other apps and programs running for additional snapping and even make smart suggestions on filling available screen space with other open apps. 4.New task view button: There’s a new task-view button on the taskbar for quick switching between open files and quick access to any desktops you create. 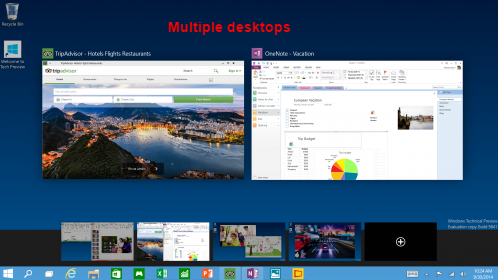 5.Multiple desktops: Create desktops for different purposes and projects and switch between these desktops easily and pick up where you left off on each desktop. 6.Find files faster: File Explorer now displays your recent files and frequently visited folders making for finding files you’ve worked on is easier.